2nd floor, two spacious, adjoining rooms with a Queen bed in each. The private bath has a shower only, and is a few steps across the hall. The suite is perfect for families or traveling companions. Both bedrooms have a door for access to the hall and bathroom. A rollaway bed can easily be added to accommodate a 5th guest. 2nd floor, Lofty King bed in our largest "master" bedroom. Attached private bath with combination tub and shower. A rollaway bed can easily be added to accommodate a third person comfortably. 1st floor and no steps to climb! Lovely spacious, bright room with Queen bed. Private bath attached with separate claw-foot tub and walk-in shower. A roll-away bed can easily be added to accommodate a third person comfortably. 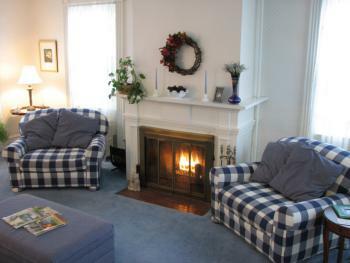 Relax in the comfort of our grand, old, 1825 federal style home. Experience the fasinating history of our community while enjoying the attractions and natural beauty of the Finger Lakes Region. We offer lofty beds and spacious guest rooms with private baths. 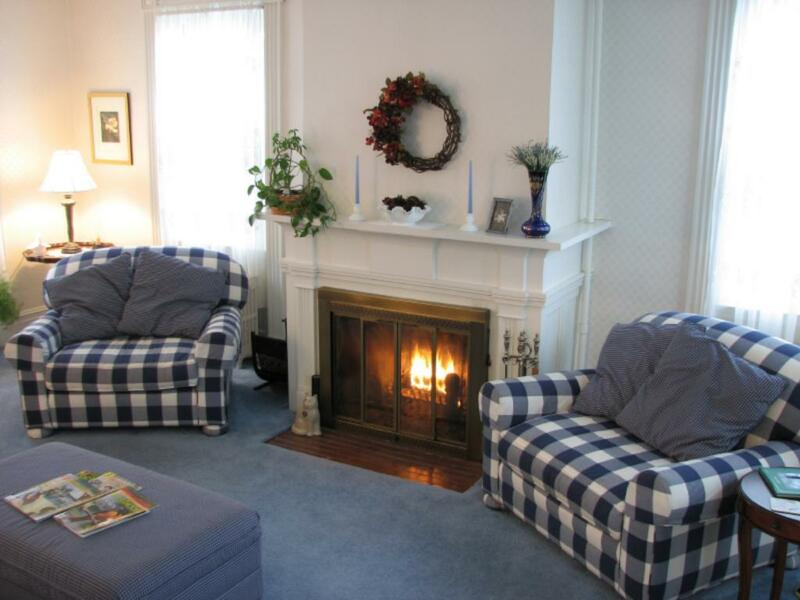 Feel at home in our quiet and comfortable living room, or sit a while and enjoy the quiet of our porch or pool area. Every morning, you are greeted with fresh-brewed coffee and a delicious hot breakfast.